A lot of companies in Adelaide have realized the importance of outsourcing their accounting service. So, outsourcing accounting services to third party accounting firms has become the order of the day in Adelaide now. The trend is not only in Adelaide. A lot of companies all around the world have joined the bandwagon. In fact, there are so many accounting firms in Adelaide and more are emerging. There are more Accounting firms in Adelaide because of the increased in the demand for the services. There are a few tips to guide against that. You need to be sure of certain requirements before you hire any prospective accounting firm. Some of the requirements have been outlined right below. While a few accounting firms are reputable and known all over Adelaide if not beyond, most other ones are obscure. It is better you hire one of the reputable ones. You will be sure of their competence. In fact, you will be sure of a professional service. Another reason you should go for a reputable firm is credibility. Whenever you need partners, creditors or investors, your accountants will help to publicize your financial reports to attract investors. There will be a lot of credibility and no partner or investor will have any reason to doubt the figures. Using the services of a relatively obscure accounting firm might not command such credibility. The major problem with hiring reputable firms is their charges. Highly reputable accounting firms offer high charges. Only a very few medium enterprises can afford the services of reputable firms. If you can’t afford the charges you might have to fall back to the other tips below. You can ask friends and colleagues to refer you to a reliable accounting firm. If that still does not work, you could also chip it in online forums. Make sure you get at least four contacts. You should have a chat with all of their representatives before you select one. Don’t pick the first one without talking to the others no matter how impressive he is. It is very important to make adequate comparisons before you select an accounting firm. You can’t get the best services at the lowest cost if you don’t make comparisons. 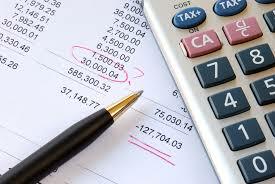 You need to be sure that your prospective accounting service provider can handle your accounting demand. The best way to do this assessment is to ask for their current clients. Check out the kind of companies whose accounting services are being handled by your prospective accounting firm. This should tell you if they can handle your job or not. 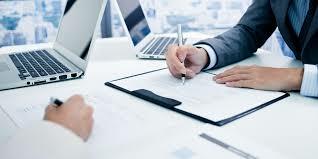 In conclusion, you will definitely hire one of the most reliable Accounting firms in Adelaide if you follow the tips strictly.